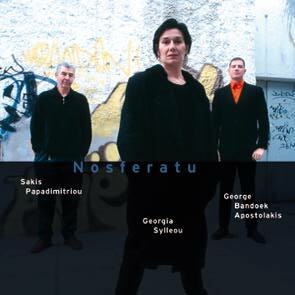 A project of "Silent Movies With Music In Situ" by Sakis Papadimitriou. Music composed, improvised and performed after the 1922 film by F.W. Murnau. If any of the Leo Records CD has a chance of making the charts without sacrificing music's integrity, originality and creativity this is the one. Recorded live while watching the film, Georgia Sylleou's voice will ring in your ears for days and days.This project would be a hit at every music festival all over the world.